This small classic style gumball bank stands at just 8" tall. 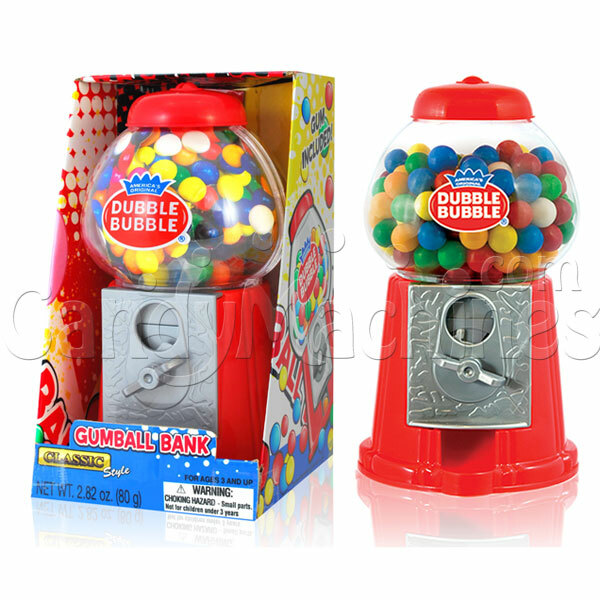 But not only can it dispense gumballs, it can be used as a bank too! Great for a home, office, dorm or kid's room. Includes 80 grams of assorted color gumballs.